We’re back again to tackle the questions we missed in our last Ask The Guys episode. We love these episodes and the opportunity we get to talk through some of YOUR real-world investing opportunities and challenges. We hear from listeners dealing with tenant damage and security deposits, 1031 tax-deferred exchanges, nontraditional lending ideas and TONS more. We talk about ideas and information. When you’re dealing with real money in the real world, you want to consult a professional. We don’t offer legal, investment, or tax advice. Question: How soon can I move in after a cash offer, and how low can I go under the asking price? Joseph in Tacoma, Washington, asked this question. The important concept to understand here is price versus terms. Whether or not you offer cash or take out a loan, the outcome is essentially the same for the seller. What cash offers is a quicker payout with certainty. But, this isn’t attractive to every seller. In some cases, a quick closing isn’t what a buyer wants at all, so the promise of quick cash won’t be an incentive. When you’re negotiating with cash, make sure what you’re offering lines up with the seller’s priorities. A cash offer doesn’t automatically mean a 20 percent discount. Question: I rehabbed a rental property in Detroit, and now I’m ready to sell. My tenant wants to purchase the property, but she has limited cash on hand. How can I find a lender to do the deal? Wilbert in South Field, Michigan, brings us this question. He wants to sell the home for $38,000, but the appraisal came back at $20,000. That price gap, as well as the location has made it difficult to find a traditional lender. The first problem is that many banks won’t do a loan for less than $50,000. If the lender is going to go to all the trouble to do the paperwork for a percentage of the loan amount, then the loan amount needs to be enough to get their attention. Find a private lender. This might mean a higher interest rate for the buyer. But, that higher interest rate will be more likely to attract a lender. Be the private lender. Rather than finding an outside investor, work a deal with the tenant to have them pay the loan to you instead. If they pay off the mortgage, you’ve still had that steady stream of income. If not, you’ll get the property back to rent or sell to someone else. Find a different buyer. If finding a private lender isn’t possible, consider finding a different buyer who is able to get financing or purchase the home for the price you want to sell. Question: When a tenant in our out-of-state rental moved out, they caused a lot of damage. Why don’t tenants take care of their rentals better, and why are they surprised when they don’t get their deposit back? Renters view their home differently than an owner. How else do you explain that it feels like no renter owns a vacuum cleaner? Damage to property is part of doing business as a landlord. But, Lauren in Charleston, South Carolina, did a lot of things right. They documented all the damage with photos before the tenant moved out, had a third-party realtor do a final walkthrough with the tenant, and got estimates from contractors to repair the damage. A picture is worth a thousand words. Take photos of the property BEFORE the new tenant moves in and get their initials on the photos. Then, when they’re ready to move out, you can use those photos to justify the cost of any damage. Open up a pet policy. Many landlords are hesitant to allow pets in a rental. But, with a hefty pet deposit and even a little higher rent, you can come out on top. Get a read on your renters. As you screen applicants, be perceptive. We’ve also known people who will meet with potential renters at their current residence to see how they treat their current space. This may not be possible for everyone, but get creative and thoughtful about how you screen new renters. At the end of the day, renters are more likely to treat a rental home with less care than you do. Damage and repairs are a cost of doing business, so make sure you build that into your budget. Question: I want to sell my rental home in California, and I’m interested in the 1031 tax-deferred exchange to buy a new property in Texas. I’m confused by the IRS form and want to know if this will eliminate my taxes in California? Cindy in Fort Worth, Texas, is definitely an A student! First of all, we want to be clear that with this kind of complicated tax question, you need expert opinion and advice. A 1031 tax exchange intermediary will be well worth the cost and can answer all your questions. The intent of the 1031 tax-deferred exchange is that if you sell a property and then purchase another property, you can defer the tax. As you buy and sell properties, you can continue to defer the tax, but there isn’t a way to eliminate the tax completely. Finally, try not to let the tax tail wag the investment dog. Real estate offers many great tax benefits, which is one of the reasons we love it! But, when you’re dealing with real money and the IRS, you need a team of experts to guide you. Life is short, and you don’t want to spend your valuable time reading an IRS form. Question: How can I learn more and get coaching on real estate syndication? Addie in Seattle, Washington, brings us a question that is near and dear to our hearts! We recommend our Secrets of Successful Syndication seminar as your first step. Whether you want to be a syndicator and learn how to leverage money with a group of investors or invest passively in real estate, this is an event you’ll learn a lot from. In this seminar, we’re teaching the strategies that have been a part of our investments for years. We do have a coaching program, but you can only learn about it at the seminar during an OPTIONAL session after the two days are done. If you want to register for the event and see if syndication is right for you, we’d love to have you! Question: My wife and I have a real estate investment company with 23 doors under rent. We’ve found traditional lenders to be slow and cumbersome and want to simplify our lending process. How can we do this? John and Karen in Troy, Ohio, are having trouble scaling their business because of lenders. They write that they’d be willing to pay a higher interest rate to make the process easier and more streamlined. For traditional banks, the process is often necessarily slow. They need to do due diligence to make sure the investment is a good one. Private capital is easier and faster, but it comes at a higher price. This can be done through syndication or networking to find interested investors. Make sure you’re well advised and working with big deals, and you’re well on your way. We’d also suggest that with the rollback of some of the Dodd-Frank provisions, some of the restrictions on community lending have eased. If you haven’t checked in with your community lender recently, it’s worth getting to know them. They’ll get to know you and your entire portfolio of properties and could be a valuable resource. Question: I wasn’t able to attend your events for the Future of Money and Wealth in Florida. But I’d sure love to get access to that information. How do I do that? A listener in Hawaii wants to learn from the incredibly faculty we brought in to talk about how to keep up with the changing times in the economy. This was a one-off event, and it was an incredible gathering of some of the best minds in a variety of subjects all focused on how to protect your wealth. We recorded the event with a professional video crew and now have 20 different panel discussions and presentations available to watch. You can visit the Future of Money and Wealth website to learn more or send us an email to future [at] realestateguysradio [dot] com. We’ll get you all the details on how to access these videos. Question: My schedule seems to be always booked up by the time I hear about the Belize discover trips. Do you know the future trip dates for later in the year? Tim in Silverton, Oregon, like many of us, has a busy schedule and needs to plan ahead! To find out events as soon as possible and to get them on your calendar, get on our advanced notice list. Head to the events tab on our website. If you find an event there, and the date doesn’t work out, get on the advanced notice list and you’ll get an email letting you know about future dates. Our next Belize discovery trip will be August 24-27, and registration is open now! We hope to see you there. Question: What is the definition of a performing asset? Matthew in Nacomin, Florida, asks us the shortest question in our inbox! Simply put, a performing asset is something that puts money in your pocket. The more cash flow, the more equity. If you have something on your balance sheet that doesn’t put money in your pocket, it’s not a performing asset. When you consider an asset you can go for a fat cow, a performing asset that will come at a premium but continue to deliver, or a skinny cow, a non-performing asset that needs some work to get it performing again. Anyone paying attention knows the world is facing a global pension crisis. And if you don’t think it will affect you … think again. And guess what? Illinois isn’t the only place with pension problems. California is a HUGE mess too … as is much of the country. According to this report from The Pew Charitable Trusts, only four states had at least 90% of the assets needed to pay promised benefits. It’s BAD. And the Federal Reserve apparently wants to tax property owners to fix it. In other words, prices will crash, and upside-down homeowners are trapped. In a presentation at Future of Money and Wealth, we warned that financially strapped governments would turn desperado. This is a classic example. This isn’t hyperbole or conspiracy theory. We don’t make this stuff up. These are the Fed’s OWN WORDS. You can (and should) read them yourself. Here’s a link to a PDF we highlighted to make it easy for you. And here’s a link to the Chicago Fed’s website where you can see the source with your own eyes. The writing is on the wall. Property owners are easy prey because the asset is right out in the open. BUT … the low hanging fruit are properties in jurisdictions where the desperado taxman has authority. That’s why many savvy investors park wealth in non-domestic property … in countries where the tax burden is small. If you’ve been following us for any length of time, you’ve been bombarded with invitations to come to Belize. And this is another one. We don’t understand why EVERYONE reading this wouldn’t drop everything and immediately register for the next Belize discovery trip … and learn how to invest in offshore real estate. You don’t need to be a multi-millionaire to diversify your wealth internationally. But you do need to get educated and connected. The Belize discovery trip is a great way to start. And the trip is not just relatively affordable … it’s FUN! You get a multi-day semi-private educational tour personally led by our very own Robert Helms. We videotaped the entire 14 hours of the Future of Money and Wealth conference … and you can click here to order the entire collection of Future of Money and Wealth presentations and panel discussions. In spite of all the rosy economic rhetoric … and yes, there are some good things happening … there are still some BIG landmines out there. This latest trial balloon from the Fed should be a wake-up call for all real estate investors. Isn’t it prudent to explore options while there’s still time? Our listener questions this week run the gamut from extremely practical to extremely theoretical. As always, we weigh in on topics that are relevant to YOU … listen in to hear our ideas on apartment management basics, diversification, and more … plus some podcast recommendations and a whole lot of info on one of our favorite places, Belize. Keep in mind that we are not legal or tax professionals. We do not give advice. The ideas in this show are simply that … ideas. Question: What expenses do I need to budget for as an apartment building owner? Utilities. These can get a bit tricky, though, because the tenants may not pay all the utilities directly. You may have to pay for gas and water, for example. Taxes. Make sure you’ve done your research and know how and when taxes are reassessed in your area. Property insurance. This is a must. Management costs. Consider how much staff you’ll need and whether you want to hire third-party management. Marketing and advertising costs. Marketing your property helps cut vacancies. For a college property, brochures may be one option. Legal costs. Make sure you have a legal team in place and a process for handling tenants with bad debt. Maintenance. Small but necessary services like pest control and carpet cleaning can add up. Although apartment owners have to juggle a list of expenses, there are ways they can make some extra income. Apartments geared toward both college students and other types of residents can offer paid laundry services, parking spots, and even furniture rentals. Question: I’m a new investor. Should I diversify with different product types and markets now, or later? This Texas listener started investing in the past year and is trying to hone his personal investment philosophy. Ryan said he owns two single-family homes, but is also interested in commercial, agricultural, and lifestyle properties. He wanted to know whether it’s wise to start diversifying now or smarter to wait. The simple answer is it’s up to Ryan. How much completely depends on the amount of time, energy, and focus you have to spare. Having a great team can be the make-or-break factor. Beginners are starting without the stable of resources that established investors have, and access to a mentor can make all the difference in whether you’re successful with a specific product class or market. Being in the hottest niche doesn’t matter much if you don’t have a great team to support you. We recommend Ryan spend some time poking around. Diversification is great … but it means two markets, two sets of knowledge, two teams. A single investor can only know a handful of markets really well, so getting well-acquainted with a single market can be a good place to start. It all comes down to your goals … and passions. The more you love a market or product type, the longer you’ll stay in the game. Ryan, search your priorities and keep figuring out what you really want to do. What’s right for you may be honing in on single-family, or it may be finding a mentor to help you get involved in other markets. 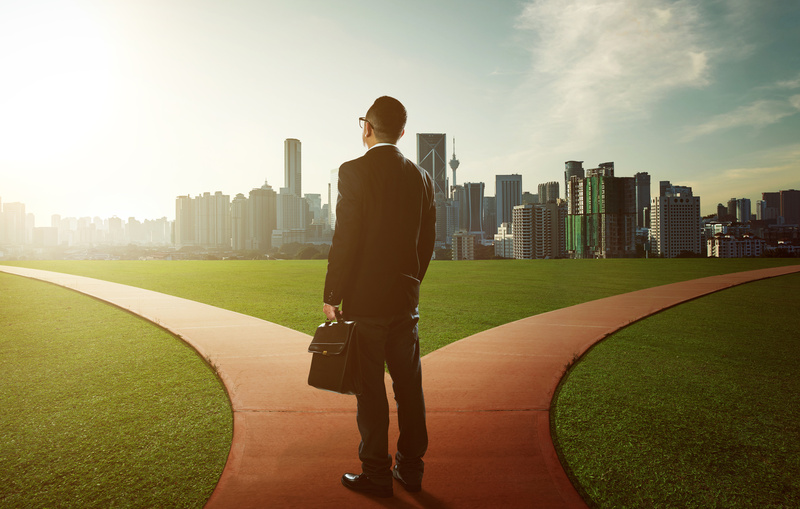 Ultimately, the right choice is completely dependent on YOU. Question: What do I need to know to get involved with a lending deal? Steven from Havelock, North Carolina got an offer to be part of a private lending deal … but he wants to know how he can educate himself before he says YES … or NO. Lending deals come in two forms … private loans, or divided private placements. A piece of collateral against which you’re lending. A borrower to whom you’re lending money. A servicing process, to collect payments and distribute money to investors. If you’re only investing, not underwriting, you don’t need to know every detail … but you do need to know enough to know that the people doing the loan know what they’re doing. Take a look at the company’s track record, advisors, and business philosophy, policies, and procedures. Make sure they have a realistic model for getting you a ROI. And always make sure you have advisors … a smart legal team can tell you in minutes whether a deal is as good as it looks. Question: Do you have any podcast recommendations? Robert from Madison, Alabama said he’s obsessed with our podcast (thanks, Robert!) and also listens to Robert Kiyosaki and Peter Schiff. He wondered whether we had recommendations for other podcasts in line with our thinking and perspective. First, a caution … don’t seek out a single perspective! As a real estate investor, you always want to strive to stand on the edge of the coin. Get multiple perspectives and then let those ideas interact with each other. Almost every real estate niche has experts producing media … if not podcasts, certainly books and courses. We heard of a great technique for reading books, and we think it applies to podcasts too … read three chapters (or listen to three podcasts or so) and see whether the content grabs you. If it doesn’t, it’s not worth your time! Question: Do The Real Estate Guys™ provide mentoring services? How do I find a good mentor? While we’re honored that Grant, from Denver, Colorado, would like to have us as his mentors, The Real Estate Guys™ do not provide individual coaching or mentoring services. We coach the syndication mentoring club … a group for investors who have gone to our Secrets of Successful Syndication event and have a good baseline for investing and syndication. However, we think there are lots of great resources out there for coaching. Interested in a specific product type? Experts like Gene Guarino can coach you in residential assisted living. Other experts can help with everything from apartment buildings to commercial spaces. Our recommendation … figure out what kind of help you really need. Do you want someone to make you stick to deadlines and goals? Someone to give you practical resources? Someone to help you make connections? Once you’ve identified your needs, take a look at who’s out there and do your research. Check in with former students to see if there’s evidence the program was successful. Question: Do you have any tips on lifestyle investing in the Mediterranean? Bob lives near dark and stormy Seattle. He and his wife are nearing retirement and want to spend their winters somewhere warmer … preferably the Mediterranean. They’re looking for a part-time vacation home, part-time rental situation. He asked whether we had any tips on researching the cost, feasibility, and process for buying a property in this region. Unfortunately, we don’t have a lot of experience in this specific part of the world. But we do have a lot of experience investing all over the world … enough to know that legal structures vary incredibly from jurisdiction to jurisdiction. The key to success? Always get plugged in with someone who knows the market from a local point of view. It would be a smart idea for Bob to plan a vacation … narrow down his interests to a specific market and work on making strategic relationships while he’s over there. Yes, we just recommended a vacation! Bob also needs to work on building a legal and tax team in the U.S. to deal with sometimes complicated foreign legal structures. The short answer … worry more about acquiring relationships than acquiring knowledge. We had three listeners ask questions about our Belize Discovery Trip. Travis, from Maple Grove, Minnesota, wondered whether investors have to be extremely wealthy to invest in Belize. Along the same lines, Brad, from Bakersfield, California wanted to know the type of investments typically available in Belize … and whether potential investors can work around lack of available financing. We believe there is a ton of opportunity in Belize … and you don’t have to be über wealthy to take advantage of it. Belize doesn’t offer traditional bank loans. So investors have a few options. One option is to go in on an investment with a group. Another is to refinance a property you own in the U.S. and use the equity to fund a deal in Belize. No matter the route you choose, be smart about it. Understand the supply and demand dynamics. Ask yourself exactly what you want … whether it’s lifestyle, cash flow, asset protection, equity, or something else … then visit Belize and see whether the market will help you achieve your goals. If the answer is YES, the next step is to build a team … and you can do that by joining us on our field trips and getting to know the people who will help you put together a great deal. Our third question about Belize took a slightly different tack … Craig, from Rosemount, Minnesota asked whether an IBC is the only corporate structure two parties would need to go in on a deal together. This is a legal question. And we’re not legal advisors. But we can tell you that although people often use entities to buy properties in foreign coutnries, it’s perfectly acceptable to own property in your name. If you do use an IBC, you’d have to use an IBC from a different country. IBCs can’t be used to do business in their country of origin. The bigger question is making sure you understand what you’re trying to accomplish, why you’re doing it, and what the possible ramifications are. Do your homework. You don’t want to learn a lesson by making the wrong mistake. Yearning for more in-depth information about IBCs, financing, and buying in Belize? Come on our field trip! 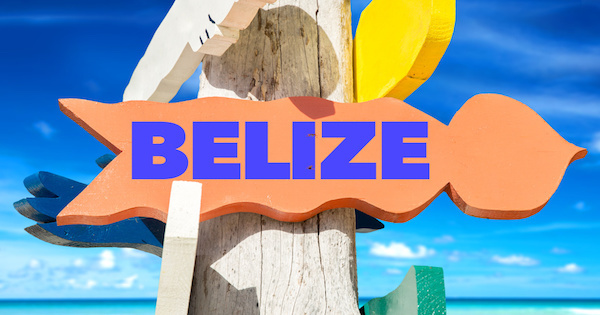 Spend time with Robert and other investors, build relationships, investigate the market, and enjoy all Belize has to offer for three and a half days. We guarantee you’ll learn something … and have fun too! Perhaps you’ve got a lot of investing under your belt and you’re looking for a picturesque place to retire. Maybe you’re interested in a second home or a vacation spot. Or you’re part of a new generation of nomads, working from exotic locations across the globe. Whatever your situation, finding your paradise shouldn’t just be a far-off dream. In this episode of The Real Estate Guys™ episode we’ll discuss lifestyle investing … and why now may be the prime time to invest in your own personal paradise. On the show today, we chat with an American ex-pat who now makes his life … and his living … on one of Belize’s beautiful Caribbean islands, Ambergris Caye. William Narod spent 26 years selling real estate in the United States. After all that time in one country, William got the diversification bug. He started doing research, then headed down to the Caribbean to scout out several different markets. That’s where he met The Real Estate Guys™ … lucky for both us and him, William joined us on a field trip his very first day in Belize. William wanted to find an investment opportunity outside the U.S. … and he ended up finding a new life as well. Today, William lives with his wife and kids on Ambergris Caye. But he didn’t make the move without a significant amount of research. Before he settled on Belize, William looked at the leading indicators … tourism numbers, prices and appreciation, and so on. Like William, the very first step you should take when you’re considering making any sort of investment outside of your native country is getting educated. Every country has different laws, protocols, and customs. We certainly went through the ringer the first time we took our investments out of the country. It took a while to get our heads around ideas like land trusts. The key to successfully educating yourself? Don’t get overwhelmed. Instead of focusing on the HOW, figure out WHAT you want and WHY. No one else can tell you what you want or why you want it … but once you know your goals, you can find someone who can help you out with the how. Your scenario, your goals … they won’t be unique. And that’s a good thing! Because it means the issues you’re facing have been faced … and conquered … before. It’s important to note that William Narod didn’t move to Ambergris Caye to retire. He moved there to invest, work, and help other people invest … but he also moved there to have fun! We want you to think further out than the immediate future. Imagine your life in 5, 10, even 20 or 30 years. Are you saving right now to pay for a paradise when you retire? Why not flip that idea on its head and let your paradise pay YOU … right now! Start by figuring out what you’re looking for. What activities and lifestyle options are most important to you? Where can you see yourself thriving? In his real estate advising business, William Narod often sees two types of investors. The first are the retirees … folks who headed to the islands to retire, only to discover they weren’t satisfied spending their days just scuba diving. The great part about where William is located is business opportunities abound. “You almost need to put on blinders down here because there is so much opportunity,” he said. So folks who moved down to Belize intending solely to enjoy their retirement days lazily strolling the beach often end up getting involved in local business and real estate. 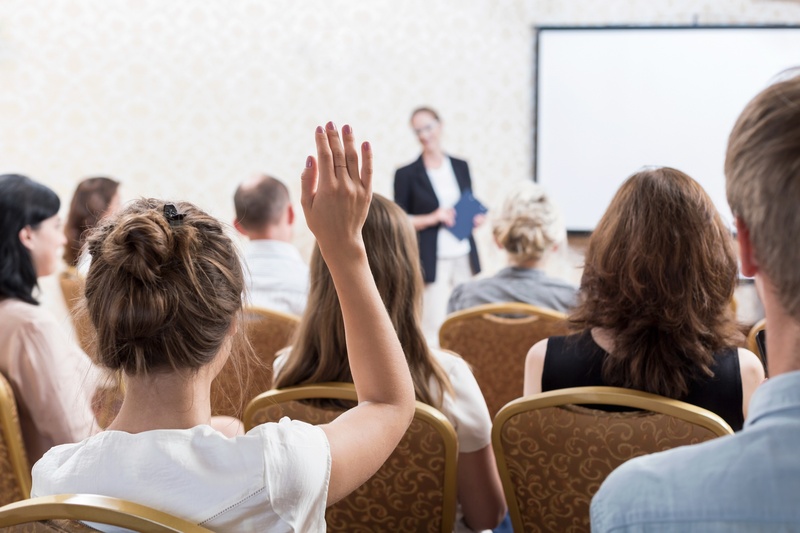 Speaking of management, finding the right management solution is key, especially if you’ll be operating mainly offsite and need to be less hands-on. Like many Caribbean destinations, Belize is a strong market with escalating prices. For people who want to retire there in 10 years, now may be the time to make a move before prices spiral out of control. Warm sparkling water for scuba diving, snorkeling, and swimming. Although Belizean culture can be quite different from fast-paced American lifestyles, William loved the slower-paced environment of Ambergris Caye from the beginning … enough to move his entire family there. Today, his kids attend schools that William’s wife, a teacher, has given two thumbs up. They play in the ocean, scuba diving, snorkeling, and fishing a few days a week. Other days they splash in the best pools on the island. Every day is a play day … and even better, his kids get to grow up in a melting pot full of people from around the world, a place where everyone is treated as an equal. 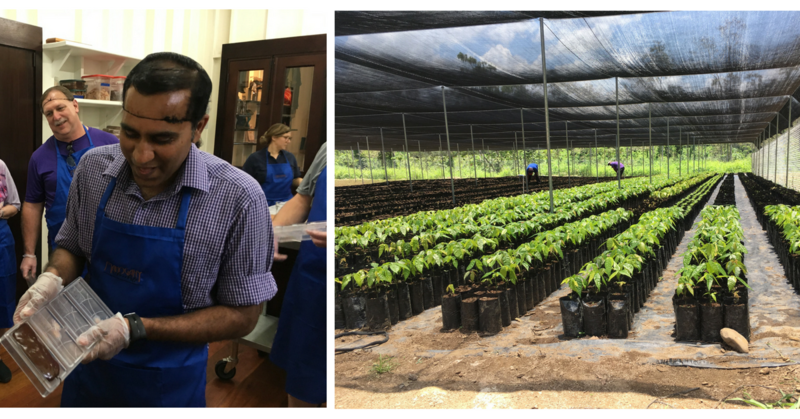 We chatted with William about some of the current development happening in Belize. Despite its rising popularity, Belize hasn’t seen interest from big developers until recent years. The new proactivity of these big brands is a strong indicator of the future of the area, William says. It indicates that interest is there … and is strong enough that bigger corporations see opportunities for growth. Development outside the U.S. can sometimes spell disaster … irresponsible decisions that harm the local environment, for example, or cut-rate developers who can’t cut it in the States. But in Belize, developers work with local communities to ensure responsible developments that fit with the environment. Like William says, “There’s only so much opportunity you can turn a blind eye to.” The entrance of big names onto the scene spells out a short period where properties will be accessible to the little guys … before Belize gets too hot to handle. If you build the right team and execute your vision strategically, your future in Belize is really bright, William says. Belize sound like the place for you? 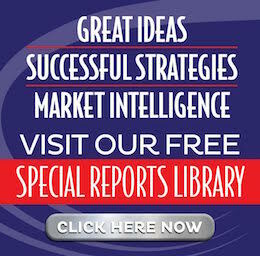 Listen in for exclusive access to a report William Narod compiled just for our listeners. Not sure if Belize is the place to go? Take a look anyway! The report offers great perspective about questions to ask and things to look for as a fledgling lifestyle investor. And if all this talk of Belize has really piqued your interest, take a look at our discovery trips … educational events in a picturesque location that offer you the opportunity to check out everything Belize has to offer for yourself. There are so many ways to be a real estate investor. Investing shouldn’t just be about surviving … it should be finding ways to thrive! Whether Belize appeals to you or not, we encourage you to ask yourself the questions: What do I really want real estate to do for me? What is my ultimate paradise? Whatever your idea of paradise, we want you to think about whether it has to wait. Chances may be that paradise is within your reach … today! Last week’s U.S. jobs report has been largely reported as positive. Of course, real estate investors prefer their tenants actually have jobs, so we agree … any economy creating jobs is preferable to one which isn’t. Weird. So it looks like the U.S. is still creating more job seekers than jobs. So there’s more people back in the game, but labor force participation is still among the lowest in 40 years. First, these are just macro numbers … but all real estate is local. So don’t get too happy, sad, or confused. Also, these numbers are seasonally adjusted (no one knows what that really means) and are frequently revised later (as you can see with the May wage gains). So don’t get too attached to the numbers either. They provide a general idea of the overall direction of things … probably more positive than negative. It’s the macro sea your investments are floating in. Power players like Wall Street, the Fed, the politicians, corporate CEOs, and credit issuers all think these numbers are important … and they use these numbers to make ivory-tower decisions about interest rates, lending, taxes, and expansion … which affect Main Street investors like YOU. The numbers START you on the path of digging down into LOCAL challenges and opportunities … jobs, migration, taxes, etc. For example, the Fed sees low unemployment, higher wages, increased labor force participation as a trigger to raise rates and tighten money. Wall Street’s extended love affair with bond speculation might be coming to an end … because when rates go UP, bond prices go DOWN. Conversely, when bond prices go down, rates go UP. And if you go talk to your friendly neighborhood mortgage professional, you’ll discover that mortgage rates very often pivot off ten-year bond yields. We could go on and on … but you get the idea. As we’ve been saying for many months, it’s probably a REALLY good idea to carefully review all your debt … and make sure you’re prepared for the potential of rising rates. The window of opportunity to tighten things up may be closing. And it’s usually MUCH better to be a lot early than even just a little late. So that’s some of the macro-picture. Now let’s dig into the jobs report and see if there’s some intelligence we can use to identify local challenges and opportunities. Notice the BIG gainer is Education and Health … followed by a fairly distant Leisure and Hospitaity, which is closely followed by an effective tie for third with Government and Professional and Business Services. 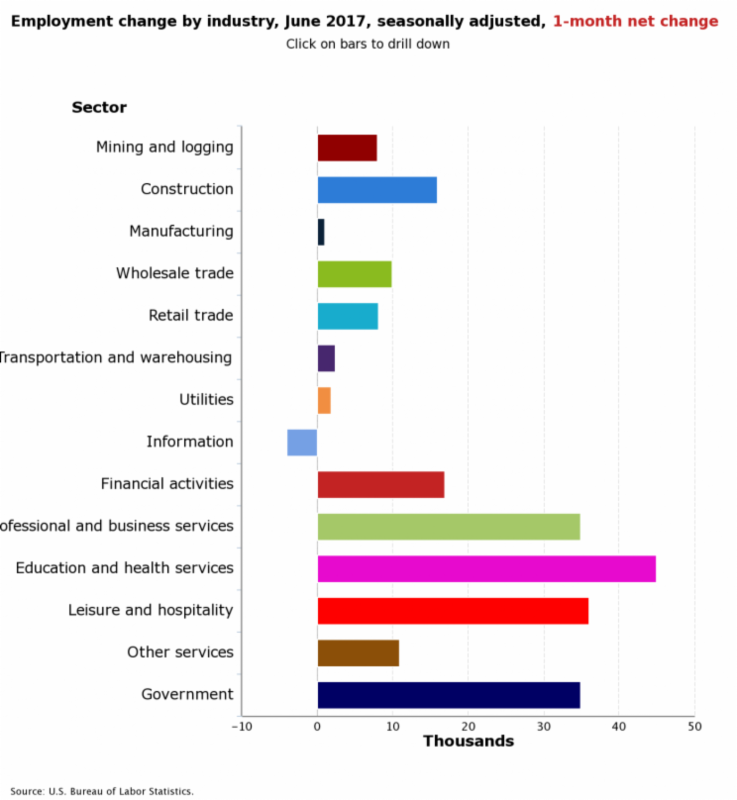 The TINY contributors are (smallest to biggest) … Manufacturing, Transportation and Warehousing, and Utilities. You can see who the biggest LOSER is … and who’s in the middle. So what useful insights can we glean from all this? Big picture, you need to wonder about the REAL strength of an economy which is “growing” in education, healthcare, leisure, hospitality, government, and business services. Is a business that’s hiring file clerks, bookkeepers, IT workers, human resource managers and trainers … actually “growing”? Sure, they’re growing payroll and overhead. But who’s bringing in outside revenue? Who’s actually making things and filling orders? These are the activities which make a business profitable. No wonder the U.S. runs a trade deficit. The economy is largely overhead and consumption. So be careful about buying into a sustainable growth argument about any country, state, region or business that’s not growing by creating products and selling them. Everything else are support services which should only grow in SUPPORT of real growth … not in place of it. With that said, it’s obvious from the chart which sectors have the job growth, so regions strong in those areas are probably positioned to have more demand for real estate. And while it’s smart to cautious in these markets, there’s nothing wrong with taking advantage of growth in areas heavy in support industries … especially if the region attracts money from outside. For example, government pulls money in from it’s entire jurisdiction. So properties near government hubs can do well, even if the real productive engine is located elsewhere. Mining and Logging is interesting for that reason also. Those commodities are usually sold outside the region. So they bring money in from afar. Meanwhile the jobs are tethered to the geography. It’s hard to move a forest, natural gas well, or copper mine to China or Mexico. … you can actually own the very land that’s producing the commodity. Leisure and Hospitality businesses located in the right place can also produce jobs and profit locally from prosperity located elsewhere. If a hotel or resort location has broad and unique appeal, it can pull customers and money in from around the globe. It’s why we like certain parts of Belize, and Orlando. The lesson here is to dig past the headline numbers and look for the geographic, demographic, and product niches that are out-performing … or have the potential to. Then start watching from afar. When you think you see an opportunity, it’s probably time to go on a field trip and build boots-on-the-ground relationships to help you find and manage that uniquely profitable property. This beautiful Central American country features tropical breezes and Caribbean beaches. Sounds pretty heavenly, right? But Belize offers more than waves and warm weather. 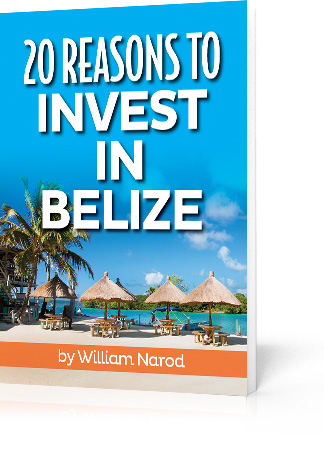 In this report, prepared for us by real estate expert and “The Paradise Guy”, William Narod, you’ll discover why Belize is so popular with many businesses and investors. See William’s top 20 list and discover why Belize’s best-kept secrets are getting out for savvy investors. His report highlights many of the reasons you’ll want to check Belize out for yourself. You’ll come away knowing why a piece of this paradise could fit in your real estate investing portfolio soon. 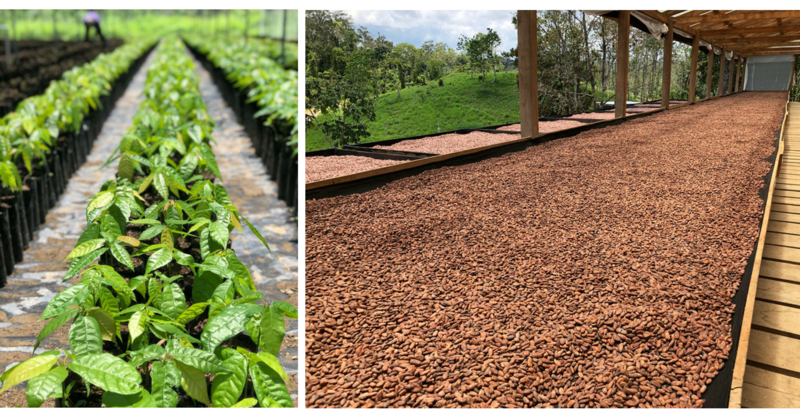 Come spend a few fun-filled and educational days in the tropics getting to know the team at The Peini Cacao Plantation! Find out what it takes to produce fine flavor/organic cacao … And convert it to CASH FLOW! Learn about the whole chocolate process from “seed to bean to bar” and see if profiting from this $98 billion industry is for YOU! Discover how you can own a parcel in a cacao plantation. This is your chance to do your own “kickin’ the dirt” due diligence. As well as being a great opportunity for you to check out a unique investment opportunity, you can also combine your trip to take advantage of all the wonderful activities Belize has to offer. It’s not by accident that this island was voted the #1 island tourist destination in the world 2 years running! 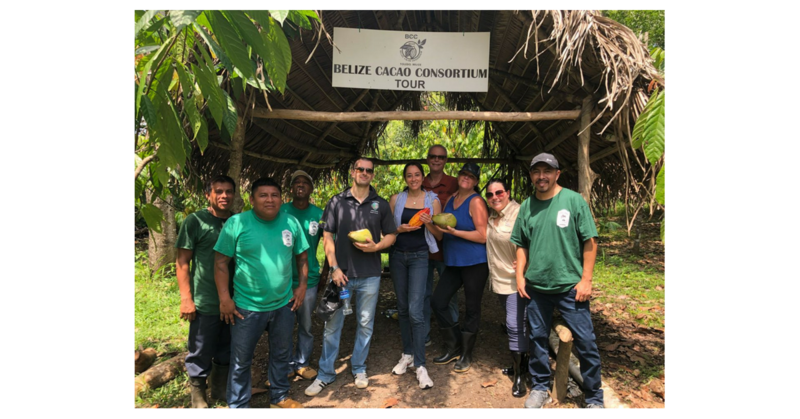 Meet the Peini Cacao Plantation team! Enjoy the delights of the world’s favorite treat … CHOCOLATE! And see if owning a parcel in your very own fine flavor/organic cacao farm is right for YOU! We LOVE sharing success stories when we come across them … and want these success stories to be relatable. That’s why we’ve created an all-new podcast feature: Real Life Lessons. In every edition, we’ll share stories of successful investors who started out just like you. These investors took the life-changing steps of getting educated and then acting on their knowledge. With fortitude, stick-to-it-iveness, humility, and a willingness to learn from their mistakes, these investors have navigated the bumpy, winding road to success. 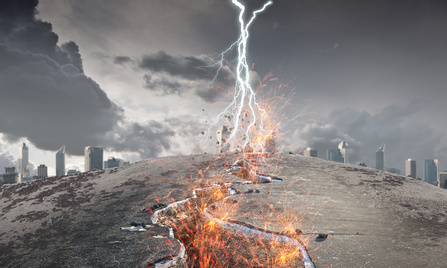 We think there’s a lot to learn from the paths these investors have taken … and we hope you come along for the ride as these investors share their lessons learned, whether good, bad, or ugly. David Zook is a successful real estate investor and syndicator today, but he was basically neither when we met him. As Dave puts it, he “got chased into the real estate business” because of a tax problem. What problem? Dave’s problem with taxes was simple … he didn’t want to pay them. You see, as a successful business owner, Dave wanted a way to keep a bigger chunk of his profits. He realized that making a lot of money didn’t necessarily mean paying a lot of taxes … if he invested that money in real estate. When Dave had his big realization, he didn’t want to wait. He looked around for opportunities and ended up coming on one of our field trips to Memphis … where he did his first deal. We asked him what advantages there are to learning about a market before picking a property. Dave told us that kicking the dirt is essential … not only did visiting Memphis allow him to see the field before buying, but even more importantly, Dave was able to meet the right teams to assist with transactions in that market. Pretty quickly, Dave realized there was a big opportunity to bring other people in too. He started doing deals with friends and family, but he didn’t see himself as a syndicator yet. Today, Dave is a fund manager with approximately 2,400 units in Memphis as well as other properties across the nation, but in 2013, he was just getting up the courage to solicit funds for one of his first buildings in Memphis. For that deal, Dave had to raise $850,000 in 45 days. He’d never asked people for money before and felt he was known in the community for his business chops, not his investment skills. Soliciting funds was “incredibly scary,” Dave told us. But Dave had seen some success with his first real estate investments, which he used as leverage to go out and talk to folks. Did he raise the money? Absolutely. Dave’s experience has earned him some excellent lessons in real estate investing … although some of those lessons have come at a hefty price. Dave’s been featured not once, but TWICE on our Halloween Horror Stories show. One of the best lessons from Dave’s experience is it doesn’t matter what TYPE of syndication you’re involved in … success comes down to finding people in your market who know their stuff and working with them. It’s easy to operate as a lone-eagle maverick in the real estate field, but team building is critical. Dave’s teams in the field have been crucial to his success as an investor and a syndicator. We like that Dave takes a teamwork approach with his investors … he treats each investor as a partner, an important member or the team. When Dave started out, he was bringing in friends, family, and eventually local community members. Now, his investors find him through podcasts and friends of friends. But that sense of partnership hasn’t changed. Dave makes sure every investment is a good match for potential investors before taking them on … even if it means turning down money. Dave also talked to us about expanding to new markets. His number one priority when he explores a market is finding a team he can do business with. For Dave, it comes down to the idea that accelerating success means aligning himself with the right people. Just like Memphis, Belize wasn’t on his radar … but Dave knew we were involved and knew he would be able to find a team, so he took the leap. Now he’s successfully syndicating there. We think Dave’s willingness to expand is a good lesson for other syndicators and syndicator wannabes. When you only have one thing to sell, you present investors with a yes or no situation. Add another market or product type, and it becomes either/or. Three or more and all of a sudden you’re not just that “Memphis apartment guy” … you’re a syndicator of real estate opportunities. Dave’s a successful syndicator now, but the path hasn’t always been rosy. He recalled a time when he laid in bed and asked himself, “Why am I doing this?” He didn’t NEED the money. But Dave knew in the back of his head that real estate investing was the right fit for him. When he ran up against that wall, he threw out his concerns in his monthly mentoring call and got some advice. With help from his support network, a lot of work and fortitude, and some small but important realizations, it wasn’t long before he broke through the barrier and got his momentum back. As a syndicator, Dave’s raised $26 million so far. That’s right … twenty-six million dollars rerouted from Wall Street to Main Street. We asked Dave how it felt to send that first check to his investors. He said it was so much fun, and still is … especially when he can over-deliver on his projections. As Dave’s syndication efforts have taken off, he’s been able to raise his minimums and start to work with a new set of investors. Dave told us he never wants to forget his roots in his local community … but that he’s had fun reaching out to new people. He’s big enough now that he doesn’t have to worry about funding deals. In fact, since most of his deals get funded quickly by current investors, he’s had to carve out space for new folks. Dave’s discovered that most of his investors are more than happy to have HIM do the heavy lifting. He told us he can relate to those business owners who have their plates full … that was him, once upon a time. Because he can relate, Dave can also deliver value to those people … and for him, that’s what makes syndicating worth doing. We asked Dave for his best advice for the investor who doesn’t know whether they can make it. His number one tip for new investors? Seek out people who are successful in the space or asset class you’re looking at. Lean on those mentors because they will help you avoid making the mistakes they made along the way. Want to know more of Dave’s lessons learned? Listen in for access to a specially prepared report on Dave’s Eight Great Lessons. Seeing people like Dave go from student to success story is what makes our job worth doing. Human beings are social by nature. We need people to collaborate with, but in our modern world, it’s hard to find unscripted, unplanned opportunities to get together with other people. We’re huge proponents of putting yourself in a position to get lucky. After all, luck is when preparation meets opportunity. There’s no guarantee you’ll meet the right people, but it won’t happen sitting in front of your computer screen. Put yourself out there in a real-life meet-up, and it’s easy to connect with the right people, and eventually, start making the right deals. Just take a look at Dave! In our latest episode, we bring you along to the beautiful beaches in Belize to share why lifestyle investing is a way to make memories AND money. When you set it up right, your real estate investments can work for you AND give you and your loved ones a beautiful place to play. There’s a reason people like Harrison Ford, Reese Witherspoon, and Bill Gates seek out the serenity of Belize for private getaways. With lush green tropics, gorgeous white beaches, and Caribbean ocean waves, Belize is postcard-worthy in every sense. Giving you freedom to enjoy what you really love, with those you want to be with. That’s all OK. We get it. We’ve been there too and it’s important to know the numbers make sense. However … what if you can have a luxury property you are PROUD to own, WANT to visit, and will make a wise investment? Even more, is it really possible to have tax deductible trips to places where you have investments? It was quite the revelation when we figured it out more than a decade ago. It’s all about location, location, location … and timing, timing, timing. Some people get nervous about the idea of buying property in foreign lands. We say it’s risky not to educate yourself, and keep all your assets in the same country’s jurisdiction. Everyone has different risk thresholds, and we get that, but may we suggest the more you know, the less scary investing abroad will be. Investing where you don’t live, whether it’s in a nearby state or a faraway country, presents many of the same challenges. They can be overcome, though! As part of the checklist of things to understand, you need to be comfortable with the local market, laws, customs, taxes, property ownership rights, etc. Think about it: Anything out there that has a barrier to entry will have less competition. The more difficult it is, the better the opportunity when you cross that threshold. Before we get into OUR favorite place for lifestyle investing, pick a spot YOU love to vacation. It could be the nearby lake town, tropical Hawaii, wine lovers’ Napa, or romantic Paris. Wherever your sweet spot, if you own a property where you’d normally have to pay to stay in on vacation, you gain benefits. You save vacation dollars by not having to book a hotel or Airbnb place to stay, every time you visit. You write off depreciation of the property as a tax benefit. If it’s located in a foreign jurisdiction, you enjoy offshore income and asset protection. We could go on and on about Belize (and we do in our podcast!) We think it’s truly one of the most beautiful places in the world. We love sharing it with you on our discovery trips. On the eastern coast of Central America, Belize faces the Caribbean Sea. To the west, there are dense jungle rain forests with Mayan ruins. With strings of tropical islands, white sands, and amazing palm trees, it’s a picture-perfect place. It offers world-class diving, snorkeling, spearfishing, and is only a couple hours in the air from hub cities in the United States like Miami, making it easy to get to. Belize is small country, with a population just shy of 350,000, and is the only country in Central America with English as its official language. Every contract is in English, which makes purchasing real estate easier. Belize is involved with the highly respected Caribbean Tourism Organization, but hasn’t yet reached the attention of investors of neighboring areas. It’s still prime picking in Belize! In terms of GDP, this lush country is self-sustaining. They produce more than enough meat, vegetables, and fruit for their population and export produce and petroleum. The fish are amazing, the chicken is free range, and there are no GMOs of any kind – everything you find in the market is all organic. Remember, some people go on vacation and spend money. Others visit their investment property, make money and memories for a lifetime. To truly discover Belize, you have to see it in person! We visit Belize regularly to help investors discover the potential for profit in this practically perfect paradise. We’d love to see YOU there!